Stokes County native, Caroline Rutledge Armijo is a mixed-media artist, environmental advocate and mother, who lives in Greensboro, North Carolina. Her work incorporates her concern for environmental issues threatening her home community – coal ash and fracking. Building on her work as a liturgical artist while living in Washington, DC, Caroline's work focuses on personal history, spirituality and the environment. Her graduate work focused on cultural institutions and lifelong learning with a focus on the importance of art and play. Caroline will manage the overall project, create public art and lead programming. She is very excited about collaborating with others. David Hairston in front of Belews Creek Power Station, August 2017. Photo Credit: Dot Griffith, A Burning Issue: The Health Costs of Coal Ash, The Appalachian Voice. David is a leader in both the Walnut Cove community and neighboring Walnut Tree. He recently completed building a playground for the Walnut Tree community and is now diving in to build The Walnut Tree Community Center. 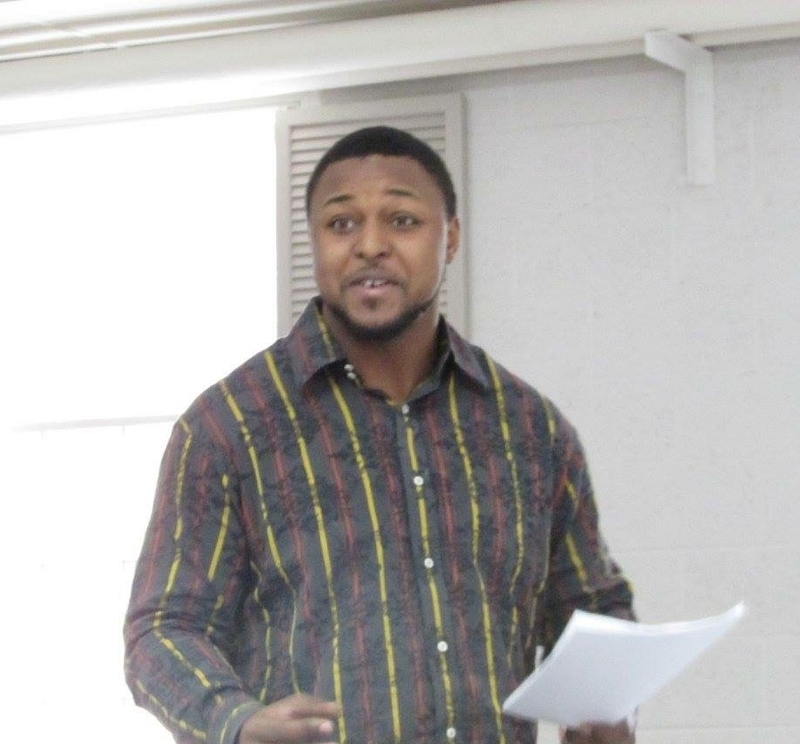 David will be involved with many of the community planning activities, and will continue to speak as an advocate with government officials about the environmental justice disparities impacting his community, the Walnut Tree. Amy Adams speaking at Democracy for Sale Panel discussion with Zach Galifianakis, Director Lucian Read, and others from the film, which features Belews Creek, at the showing at the Stone Center in North Wilkesboro, North Carolina, March 22, 2017. Photo Credit: Jimmy Davidson, Appalachian Voices. Amy has been organizing in the Belews Creek Community around coal ash since early 2013. Prior to joining Appalachian Voices, Amy worked for NC Department of Environmental Resources. She gives an impassioned presentation on why she left her state government job during the US Civil Rights Commission on Coal Ash, which was included in the film "Democracy for Sale" with Zach Galifianakis. Amy will continue to lead local organizing in the community through the grassroots group, the UNC Well Study and statewide. She will strategically use the space to invite and meet with policy decision makers. Eddy McGee gathers everyone prior to the 2017 Annual Polar Plunge at Hanging Rock State Park. 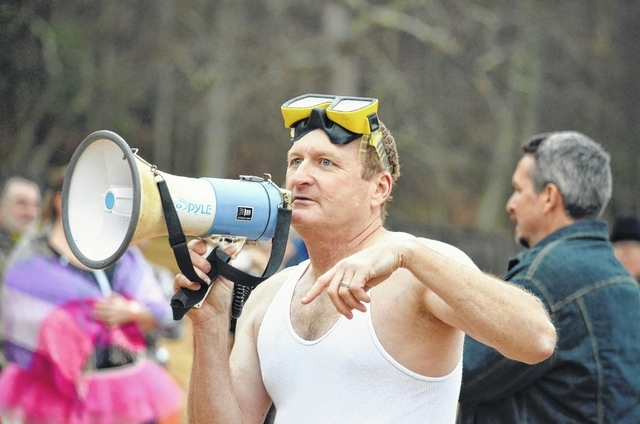 Photo Credit: Amanda Dodson, Polar Plunge Ushers in 2017, The Stokes News. Eddy is the fearless leader of the Stokes County Arts Council, which has earned the reputation of being North Carolina's Guerrilla Arts Council. Eddy will help integrate into the overall county programs, assist in fundraising and oversee the Artist Connect component of the project. Rumor has it, Eddy also makes a mean cheesecake, which appeared in Southern Living Magazine. Dr. Kunigal Shivakumar shows lightweight material made out of coal ash and polyurethane. Photo Credit: H. Scott Hoffman, Scientists at NC A&T make coal ash breakthrough, Greensboro News & Record. Dr. Shivakumar has been studying how to use coal ash over over fifteen years and is a recognized as a member of the National Air and Space Museum Wall of Honor. Dr. Shivakumar is the lead researcher behind the coal ash technology. He will guide the development of the larger technology applications and also seek funding for a pilot plant, which will aid long-term continuation of creating art out of coal ash. Most importantly, he said yes when Caroline asked if he would help her make art out of coal ash. Marie first began working in Walnut Cove in 2015, when she collected a dozen interviews of families impacted by coal ash and fracking. This work evolved into the Doctoral Dissertation. Marie will lead artistic workshops, host oral history trainings and curate the interview collection, including the creation of an original performance based on interviews. Marie is particularly drawn to using performance to aid in healing around cancer. Tracey has taken up the helm of her mother Annie Brown, our leading community advocate before she passed away in September 2014. Since Tracey has been featured in national films and news reports, including "The Climate Listening Series" with Dayna Reggero and "Democracy for Sale" with Zach Galifianakis. Both Zach and Tracey are avid Price fans. Tracey will be involved in the community planning of activities, collection of oral histories, and speak to a broad range of audience members both locally and on a broader level. Wade Brown in the lab, July 2016. Photo Credit: H. Scott Hoffman, Scientists at NC A&T make coal ash breakthrough, Greensboro News & Record. Within the coal ash reuse industry, Wade's name is well-regarded. Living within view of the Marshall plant, Wade will direct the fabrication of the public art installations using the coal ash composite technology. From building tiny houses to overseeing the installation of solar farms, Josh is the renewable energy guide. Josh will manage the development of the solar stamens and lighting. He will also bring our community ideas to life in an environmentally sensitive way. Josh's most recent accomplishment includes a passive bottling system for The Southside Beer Garden & Bottle Shop. 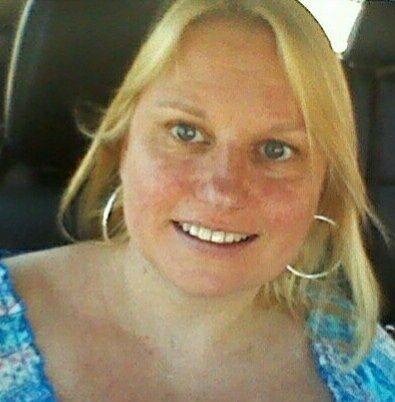 Kimberly will serve as fundraising and development advisor for the grant project. Plus she will advise on media and public relations strategies and be a key contact with national organizations and elected government officials. 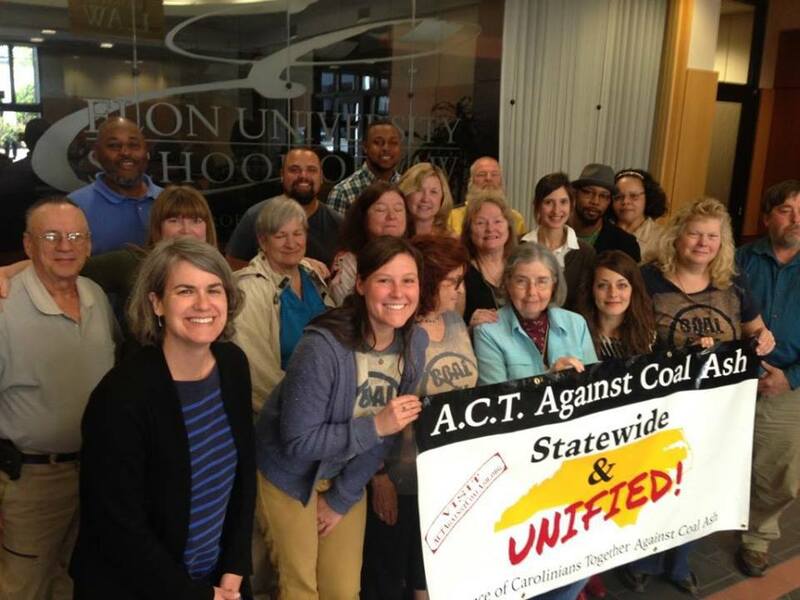 Our main community group is known as Residents for Coal Ash Cleanup. It is made up of impacted neighbors to the coal ash ponds. Over forty families at Belews Creek are living on bottled water since Spring of 2015, plus almost one thousand families statewide. Many local residents have purchased their own water for decades. Other members include concerned community members and people wishing to help advocate for the excavation of the coal ash. Membership also overlaps with No Fracking in Stokes, another local advocacy group, which formed because fracking threats the same land and residents. Just a few of the residents of Southeastern Stokes County, who will be helping us with the various programs under the umbrella of this project.